Check out Glen’s Blog for the latest Computer News, Advice, Specials and More! 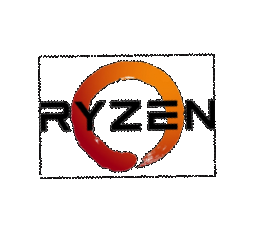 AMD sent shockwaves through the IT and enthusiast communities alike when on February 22, 2017 they announced their new flagship line of processors called Ryzen. Dollar for dollar, no other CPU is faster. These CPUs are taking the world by storm, and making possible computers and configurations we have never before been able to implement. We have already built and installed dozens of computers and entire computer systems with Ryzen technology, and have seen very good results! We would be happy to provide you with a quote for an upgrade or replacement of your system, and get you the fastest speeds we can! HDD, SSD, NVMe: What’s the Difference? Everyone knows that computers need storage, but do you know how you get that storage? The most common way at the moment is with a Hard Disk Drive, or HDD. These are called mechanical drives because inside are spinning disks that contain data. HDDs can transfer data at a rate of about 100MB/second. Typically a PC with an HDD fully boots up in about 1-2 minutes. These drives have by far the best value, and are commonly used for their large amounts of storage for a reasonable price. The next largest contender is the Solid State Drive, or SSD. These drives operate sort of like large flash/thumb drives, and do NOT contain any moving parts (fully digital), so they are less prone to failure and can be much smaller. This also means that they are much faster since they are not limited by spin rates like HDDs, and can transfer at about 400-500MB/s. A PC with a SSD usually boots up in about 20-25 seconds. The third and newest common form of computer storage is called NVMe, short for Non-Volatile Memory Express. These drives are a smaller and faster version of conventional SSDs as described above. They can fit in the palm of your hand and offer up transfer speeds around 1.5GB/s, or 1500MB/s! A new PC with a NVMe typically can see boot times at about 10-15 seconds or less, and dramatically increased speeds! Prices of SSDs and NVMe drives are dropping drastically, so now is one of the best times to get that upgrade you need or deserve, and we can help you do it. Just give us a call!